Antuco is a delicious 100% cotton yarn that knits to a gauge of 3-4 sts per inch on a US# 5-6 needles. Each skein equals 126 yards (115 m). This yarn is supersoft cotton and makes gorgeous garments! Great spring and summer colors! 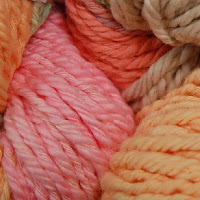 Pima Cotton Merion Wool Blends to 100% Baby Llama, this yarn is a dream to knit and wear. Peru's hertitage and culture of textile artistry is one of the richest in the world. Without the shepherds tending their animal in the Peruvian Highlands we would not have this beautiful luxurious yarn. By purchasing it you are supporting the children of these sheperds and the continuation of this tradition. A portion of every purchase is dedicated directly to the funding of a school in the remote area of Munani in the region of Puno. 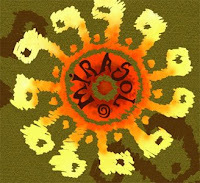 Araucanía Yarns is a group of artisans and designers dedicated to the artisan dyeing of fibers for weaving and knitting located in Santiago, Chile, on the southwest corner of South America. Araucania Yarns combines the inspiration from a very diverse natural environment, with imagination to create spectacular color selections. Araucania Yarns are constantly working on developing the range of natural yarns and fibers featuring exclusive variegated colors, based entirely on a careful handcrafted process. Each hank is different; its individual beauty emerges as the artisan blends color to create several unique shades. Each fiber is carefully selected from providers around the world, (from our Patagonian Wool to the Peruvian Alpaca, from Turkish Angora to Egyptian Cotton) to offer the best textures possible. The random color placement of the dyes, together with the smooth feel of the yarn blends, will inspire you to create a beautiful and unique project. For even color distribution, we recommend alternating between skeins while knitting.